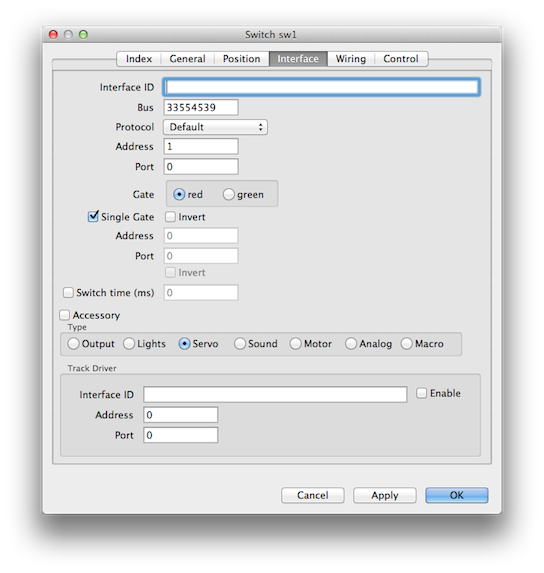 This example shows how to address servo port 1 on a LightControl. The accessory flag must be unchecked. The decimal Unique-ID is set in the Bus field which can be done with D&D. Bus Decimal Unique-ID Default GBMBoost Master if left empty. 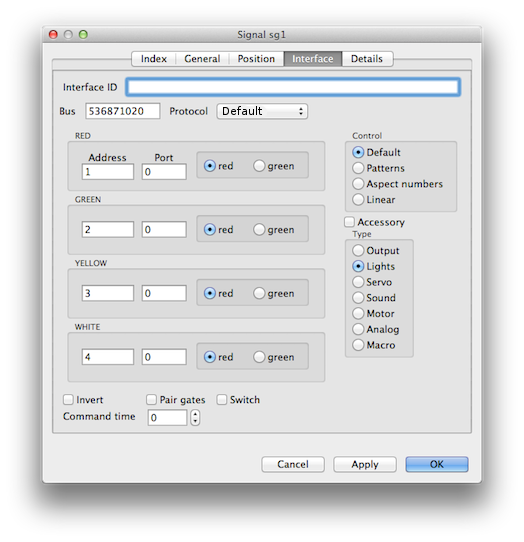 If MultiMaus1) accessory commands should also processed the Bus value must be set to the UID of the GBMBoost Master. This example shows how to address lights port 1…4 on a MoBaLiSt. The accessory flag must be unchecked. See http://www.bidib.org/protokoll/bidib_occ.html for more information about confidence. Or any other Xpressnet throttle.